Mental models, memory and misconceptions. This was in a synoptic test, a few weeks after we had covered this topic in class. At the time, in the lessons, they were whizzing through this stuff. I had built it up slowly. pen + pen = two pens; 4 + 4 = 2×4; p + p = 2p and so, obviously, t2 + t2 = 2t2. Even though, at the time, we had practised various variations of this and students were getting questions right, evidently this was not making a shift in their mental models. That final line introduces the link between t2 x t2 and t4 . In their world, largely governed by surface learning, that connection is strong enough to override their thinking around the operations + or x. It is common for them to want to remember answers rather than methods so t2 + t2 = t4 beat t2 + t2 = 2t2. Perhaps it was because it was the most recent thing we’d done in algebra; perhaps it was because it feels more sophisticated to write t4 , but, regardless of the reason, I learned that their mental model for the whole business was weaker than I realised. When faced with a question, garbled surface recall dominated over deeper conceptual understanding. Once you put numbers in it always more obvious; they get that 9 +9 is not the same as 9 x9. But, in algebraic form, the abstraction overrides their number models. One girl even stubbornly challenged me. No! That’s wrong sir. t2 + t2 IS t4 . The way she had remembered it instead of understanding it was so strong, she didn’t believe me. We had to go over it all again, step by step. I had to pull down her badly remembered model, fixed firmly in her head to replace it with mine. This told me that I hadn’t done enough of that. We need to mix up the questions, use more wrong answer/spot the mistake questions in future and, generally reinforce the meaning of the algebra over and over again. Another example came from a simple introductory exercise around making formulae to solve problems. For example, writing a formula for the perimeter of a shape. The diagram given was this. 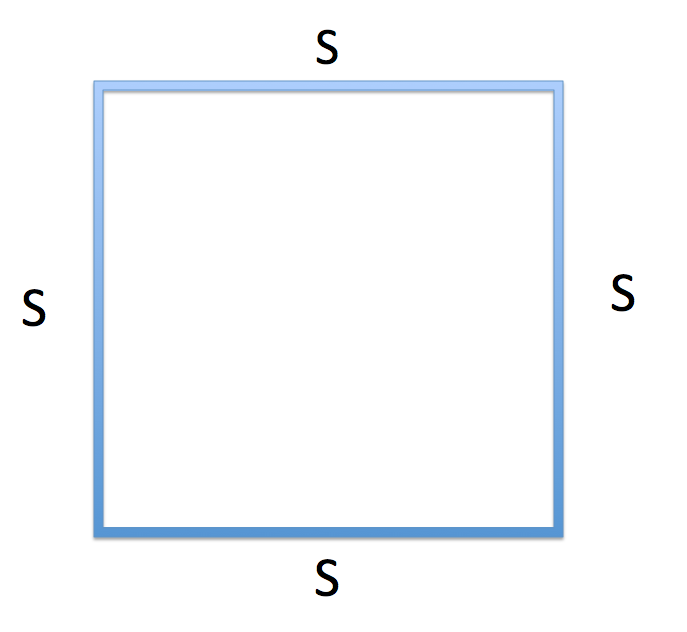 Write a formula for the perimeter in terms of s.
Now she could see it was S +S + S+ S = 4 lots of S, hence 4S. So, the problem came from being able to see how the number 4 and the variable S combined. It wasn’t immediately obvious to her that multiplication was the appropriate operation. This is worrying. She’s in Year 10 – but we have to work with the students we have, helping them to develop a stronger sense of the meaning of numbers and mental models for the various operations. The difficulty is that, at this age, they often just want short-cut, surface memory techniques to get through it all and that just isn’t enough. An example of this from learning in science has featured in the informal chats I’ve had with a group of struggling Y11s who are weeks away from their GCSEs. They are lower attaining students and, when I meet them, I check in to see if they are revising. What is the equation for photosynthesis? I get all kinds of responses – a random assortment of the words that make up the equation. Water plus thing, what’s it, glucose, Arrow, sunlight plus carbon dioxide. I love ‘arrow’. The arrow is part of their surface visual memory of the correct equation. 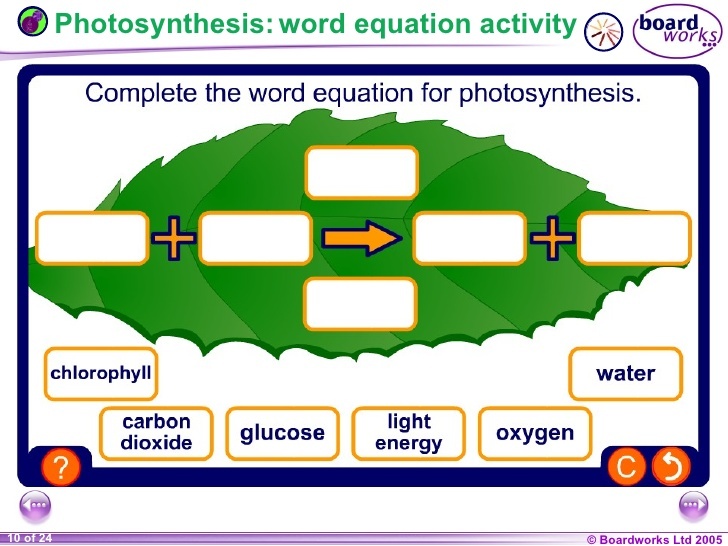 They don’t really understand it; they struggle to even say ‘photosynthesis’ out loud with any confidence and the whole thing is a jumble of misremembered words – fill the gaps in any order! Clearly, the meaning of the equation has escaped these guys – with one exception. They all seem to know that it is chlorophyll, the green stuff, that absorbs the sunlight. This is the bit they can see with their eyes; plants are green. This has made sense to them over the years where as the reactants and products are fuzzy abstractions; words without concrete significance. It seems clear to me that these boys would have benefitted from more work to help them commit this equation to memory; if they could say it correctly without fail because of a stronger programme of drilling and micro-testing, perhaps they’d have a greater chance of it making sense to them. Oxygen is product; plants make oxygen….securely remembered. However, I also think that the model itself needs more work. At a fundamental level, these students are not fully comfortable with the notion of molecules of different types interacting, swapping atoms around and making new compounds. They don’t really understand that oxygen is fundamentally different to carbon dioxide, or nitrogen. At some level, these are just words to them, not substances. The development of a mental model is a long term process. The challenge comes when students have an underdeveloped or incorrect model onto which they are trying to stick bits of facts in order to memorise them. As teachers, we need to be conscious of this process and try to understand it better. Why is it that this stuff just isn’t sinking in? See Also: Mental Mathematical Models. It’sa similar problem with my students, they prefer to only remember formulae instead of understanding them. Fine for simple fill in the numbers and find the missing one type questions, but as exams are becoming more synoptic, deeper understanding is needed to apply knowledge. Pressure from all sides for grades and doing more with less, means shortcuts like formula triangles and simple memorization of facts have been necessary. My wish would be that the kids wanted to understand and enjoy the subject, and sometimes we have that, which keeps me going through the revision lessons, tests, test reviews, exams and comparisons of predicted v actual grades. Hi Tom… have you ever seen the 80’s research from Harvard “A Private Universe” https://www.learner.org/teacherslab/pup/ ? There is a similarity between what you are describing and what is illustrated there in that often students have mental models that we don’t really check or unravel. I am also reminded of what Graham Nuttall said about how students learn and the wide range of ‘learning’ that goes on in the same lesson. At the p=4+s misconception, I would not have told the student that they were wrong. I would have suggested that we test her idea by picking a number for s. “Interesting. Let’s see if the perimeter does come to 4+6 when s=6”. She might not make the connection between her idea and my proposal. If she does, then we are on a winner – she will discover that the perimeter should be 6+6+6+6=24(=4*6) but her rule makes it 4+6=10. She might spot for herself at this point the error she made. In my experience this realising of a misconception for oneself is much more likely to lead to learning than having a misconception corrected by a teacher. Thanks Robert. That’s pretty much what I did in fact. If s is 17.3 metres, for example, adding 4 immediately seems silly. The student realised this quickly once we moved away from simple integers. We (UYSEG) have been having discussions about what we should be teaching in science 11-14 and separately also talking about the maths we use in science. Both of those discussions have lead to talking about deep knowledge – and developing learning progressions through the core ideas in the subjects, so that we can ensure that early key ideas are embedded to allow for proper later learning. Now this is a fascinating one for me. I know nothing much about photosynthesis, but I believe this shows a misconception about surface and deep learning. A stronger programme of drilling and micro testing would simply have enabled the students to remember the thing by rote. Knowing the thing by rote would not, I feel, have aided their understanding of the process. The process is extrememely complex and to understand it one might need an understanindg (note understanding not knowledge of) light and energy, molecules and reactions and plant anatomy. The relationship for me is the other way around. A greater understanding of the process (even understanding at a surface level) would enable a student to memorise and recall/recognise the components of the equation. Without any understandinjg of the constituent parts of the definition, the student can only memorise the components and their order surely. For this purpose, some heavy duty repetition and drilling is a reasonable strategy. Thanks Brian. I’ve discussed at length with colleagues. Ideally, a deeper understanding is a precursor to memorisation. However, I can think of lots of thinks that I knew by heart before they really made sense. In languages for example and with various equations. You can learn the quadratic formula or various trig identities by heart and use them repeatedly; by doing so, the meaning is revealed. It’s a good discussion but I find that with very low attaining students, you reach the point where, unless they learn it by heart, they have nothing because the conceptual understanding is always just out of reach. At the point of the P=4+S misconception, I would not have told the student that she was wrong. I would have invited her to check her proposed solution by giving S a value: “Interesting. 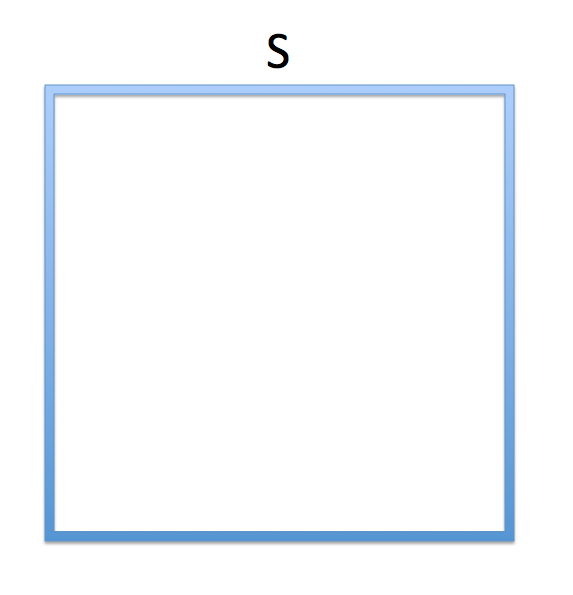 Let’s try that out by picking a value for S”. She might not understand what I mean by that sentence. If she does, and grasps the fact that her rule ought to work for every value of S, then we are onto a winner. When she sets S=6, say, she will find that her rule gives P=4+6=10, whereas the actual perimeter should be 6+6+6+6=24(=4*6). In my experience (teacher of maths for 23 years and faculty head for 5 but now depute), students who have the opportunity to notice their misconceptions for themselves are much more likely to correct them internally that those students who have misconceptions corrected by teachers or peers. I realise you may not have told her she was wrong either – you don’t say. Are you familiar with concept inventory testing to evaluate instruction methods?